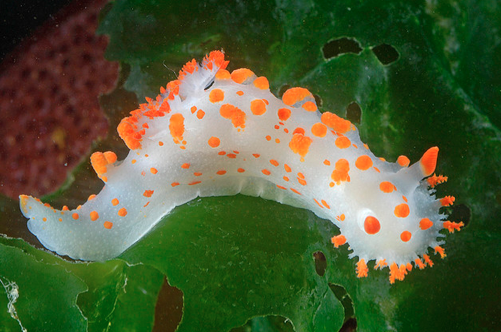 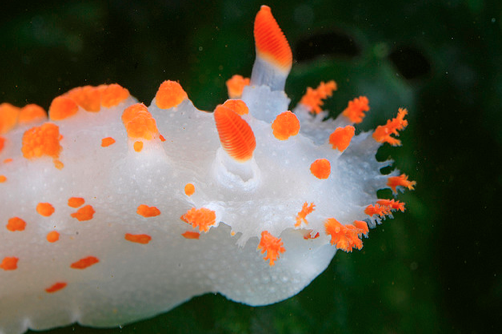 This is the Sea Clown Triopha (Triopha catalinae) nudibranch that really does resemble a clown! 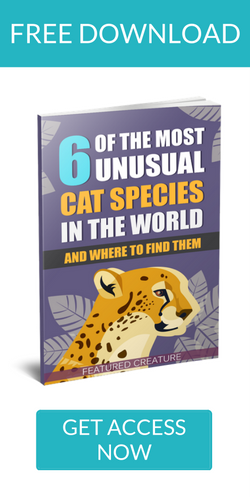 I honestly don’t know why that is, though. 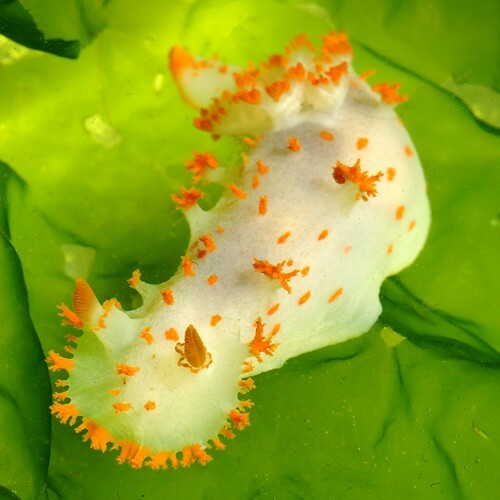 I guess it must be because of the bright orange rhinophores and various other bumps and lumps. 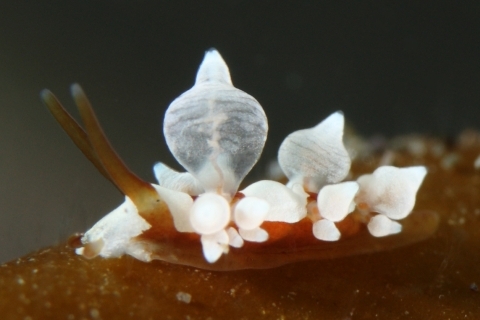 These guys reach lengths of 70mm and are named after Santa Catalina Island, California. 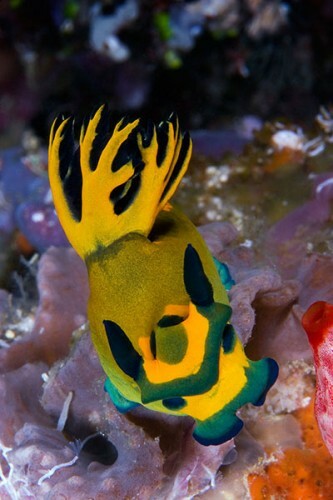 New Week Nudi: Mini Cow Mimic!